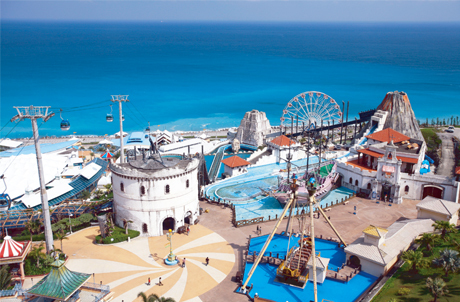 Farglory Ocean Park is the first and only ocean park located inside a national park area. Covering 51 hectares in total and an investment of nearly NTD 10 billion, the Park includes eight themed areas, as well as Taiwan's first marine theme park and theatre. Unlike the artificial atmosphere of conventional amusement parks, Farglory Ocean Park, Hualien, provides its visitors with a chance to meet marine life face-to-face. Face-to-face activities include playing with the dolphins, going underwater to feed them, and other up close experiences with animals. The park introduces the dolphins, sea lions, seals, sharks, and other marine life to visitors. It's a wonderful place for every member of the family, aged eight to eighty, to enjoy themselves while learning about the ocean environment at the same time. Ocean Park daytime admission tickets holders entitled to a 10 % discount on admission tickets to Farglory Ocean Park. Valid Ocean Park SmartFun Annual Pass holders and staff entitled to a 15% discount on admission tickets to Farglory Ocean Park. Farglory Ocean Park tickets holders entitled to a 15% discount on daytime admission tickets to Ocean Park purchased at the park's Ticketing Offices. Valid Farglory Ocean Park Annual Pass holders and staff entitled to a 20% discount on daytime admission ticket to Ocean Park purchased at the park's Ticketing Offices. Ocean Park admission ticket or SmartFun Annual Pass holders must present a valid ticket or pass when purchasing tickets. Guests from respective attractions must also present valid tickets or membership cards, and travel documents, for verification purposes. This offer is only valid for original admission tickets or membership cards. Photocopies will not be accepted. This offers are only applicable to tickets purchased at the Ticketing Offices of Ocean Park Hong Kong, or the ticketing offices at respective attractions. After enjoying the discount, the admission ticket will be collected by the ticketing offices for auditing purposes. Each attraction will record the membership numbers of SmartFun Annual Pass or membership cards. This offer cannot be exchanged for cash and cannot be used in conjunction with other promotional offers. In case of disputes, the decision of Ocean Park Hong Kong and respective attractions shall be final. 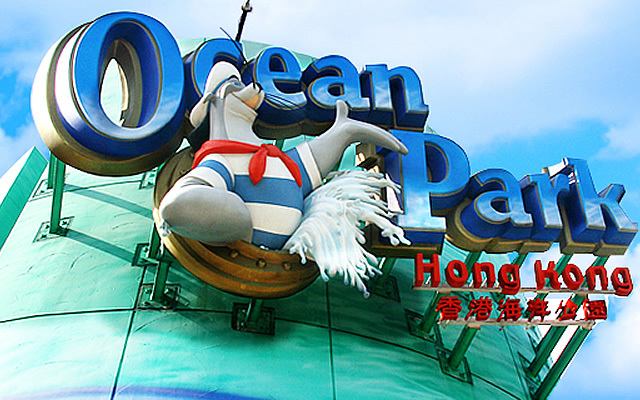 Ocean Park Hong Kong and all respective attractions reserve the right to adjust the terms and conditions of the offer without any prior notice.